Climate change may no longer be a national security issue, but allowing private companies to dig up more rare earth minerals now is. The EO came just a day after the U.S. Geological Survey published its first full new assessment of the country’s critical mineral resources since 1973. Started four years ago, the report found that 20 out of the 23 critical minerals the nation relies on are primarily sourced from China. 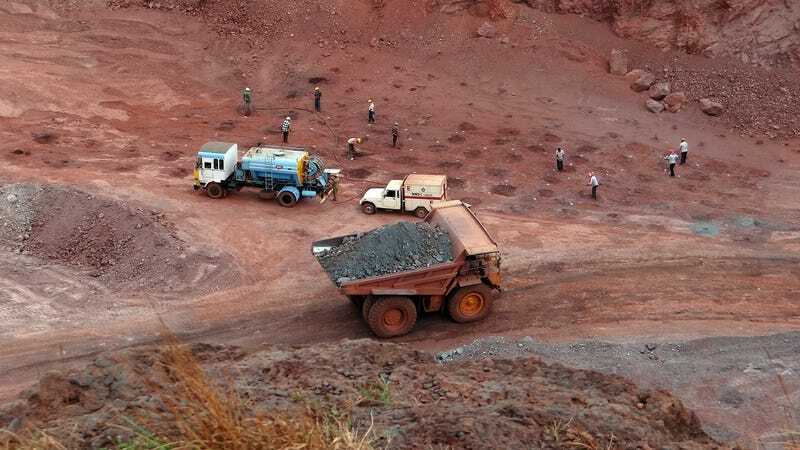 These minerals often come from countries with weak governmental oversight, like the war-torn Congo, where a large amount of the world’s tantalum is mined. In places where environmental regulations are lacking or unenforced, critical mineral mining can take a devastating environmental toll. For instance, Baotou, the largest industrial city in Inner Mongolia, is a hub for rare earths—and also an environmentalist’s nightmare, littered with toxic “tailing ponds” and polluting refineries. David S. Abraham, a senior fellow at the think tank New America, told Earther that the U.S. has fallen behind in production of many critical minerals because costs were far cheaper overseas, especially in China where good geologic fortune combined with low environmental standards and supportive government subsidies helped propel the industry far ahead of western competitors. Rare earths are also an essential part of the green energy industry, making up parts of batteries, solar panels, and wind turbines. As renewables continue to grow, it will be important that the environmental impact of this early stage of the supply chain is well monitored. Lee-Ashley referenced a recent CAP report on mining on federal lands that highlights the outdated nature of laws governing hardrock mining on federal lands. She said the EO could help improve “topographic, geologic, and geophysical data” that companies will be able to use to identify and explore potential sites more effectively. One innovative idea getting some attention is collecting rare earth elements that are mixed up with waste products from mining and burning coal. In the Eastern U.S., researchers are looking into ways of extracting tons of these elements from acid mine drainage around coal seams. By piggybacking on these other mining operations, rare earth mining could also be made more economically affordable. So that’s sort of like recycling, right?